From 15-17 March 2019, Toowoomba will come alive with the Curious Arts Festival, a rich, colourful and vibrant program of ideas, music, circus, comedy, cabaret, dance, workshops, film and family entertainment. Toowoomba’s Curious Arts Festival embraces the new and the future, encouraging exploration, discovery, differences that divide and unite, the left of centre and the funky while being an accessible, fun and popular event. The first festival, from 15-16 March 2019, will be a rich, colourful and vibrant two-day program of ideas, music, circus, comedy, cabaret, dance, workshops, film and family entertainment, featuring a mix of invited artists working alongside Toowoomba-based creatives, organisations and venues. With no established performing arts festivals based in Toowoomba or the surrounding region there is a resounding need for more artistic opportunities in the region, both for artists and for audiences. 1. Invites the Toowoomba community to take a fresh look at contemporary arts – from circus, to dance, cabaret to art installations and pop-up artists, allowing audiences to discover the fabulous, the feisty and the frisky. 2. Celebrates and showcases the remarkable depth of creativity in our region influencing local arts practice and participation through collaborations and workshops with respected professional artists. 3. Enriches and builds Toowoomba’s reputation as a creative destination, serving as a drawcard for visitors. We need the financial support of our community to ensure the inaugural event in 2019 is successful and that the festival has the grass roots support it needs to grow into the flourishing arts festival that Toowoomba deserves. Thanks to support from Creative Partnership’s Plus 1 program, all donations made before or during the festival in 2019 will be matched to support the festival in 2020! So if you make a donation today, not only will it be doubled, but you will be supporting two years of Curious Arts Festival in Toowoomba. Your donations will go towards artists fees, ensuring quality work and an exciting and growing program into 2020. Thank you for helping to make Curious Arts Festival a key event on Toowoomba’s regional calendar. We look forward to welcoming you to the festival from 15-16 March. 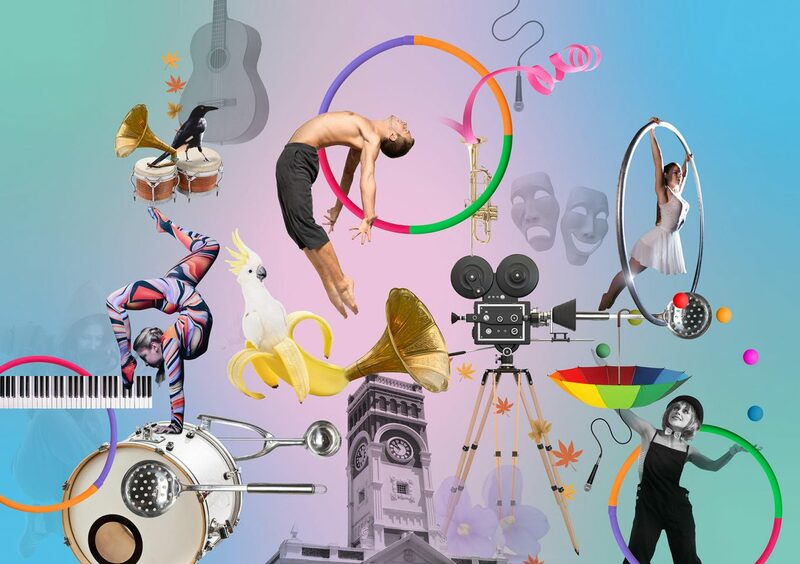 From 15-16 March 2019, Queensland’s regional city of Toowoomba will come alive with the Curious Arts Festival, a rich, colourful and vibrant program of ideas, music, circus, comedy, cabaret, dance, workshops, film and family entertainment. Curious Arts Festival encourages exploration, learning and discovery of the unusual and quirky, celebrating differences that unite through an accessible, fun and welcoming event.The festival will challenge the conservative and traditional, gently leading regional audiences to the edge of their comfort zone. The festival aims to bring together professional, Queensland-based artists working alongside Toowoomba’s emerging artists, community creatives, organisations and venues. The pilot festival in 2019 will be built upon in future years, ensuring a growing and lively annual event that will become firmly fixed on the region’s calendar at a similar time every year.